The ML 150 is a versatile "low-level" lifter which allows for both hand-loaded plastic bags and 240 litre European style bins. It is durable and effective whether used in areas that are partially or fully converted to 240 litre bins. The ML 150 has a patented rotary lift action, which is highly efficient and uses little power from the vehicle's engine. 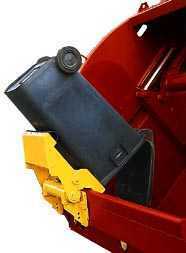 It achieves cycle times of 7 to 8 seconds with bins weighing up to 180 kilograms. It is highly compact, allowing bags to be easily thrown over the top of the lifter. Ground clearance under the lifter is greater than comparable lifters, which results in much less accidental damage. It is easily removable and transferable. The ML 150 is the only lifter which can be removed or transferred in under two minutes without the use of any tools! 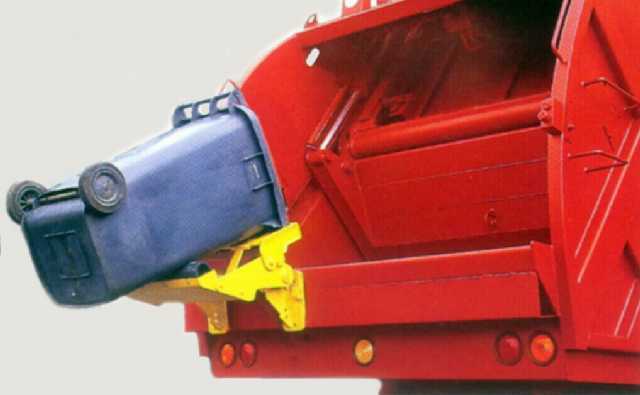 A single rotary actuator drives each lifter, which provides a smooth bin emptying cycle for increased efficiency. 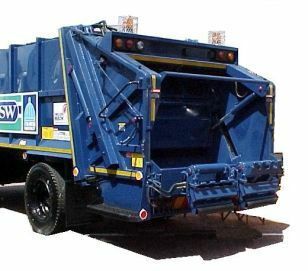 Stubborn refuse is normally ejected on the first attempt due to the tipping angle of 45º. The ML 150 is fully designed, built and supported in South Africa for our unique local conditions.